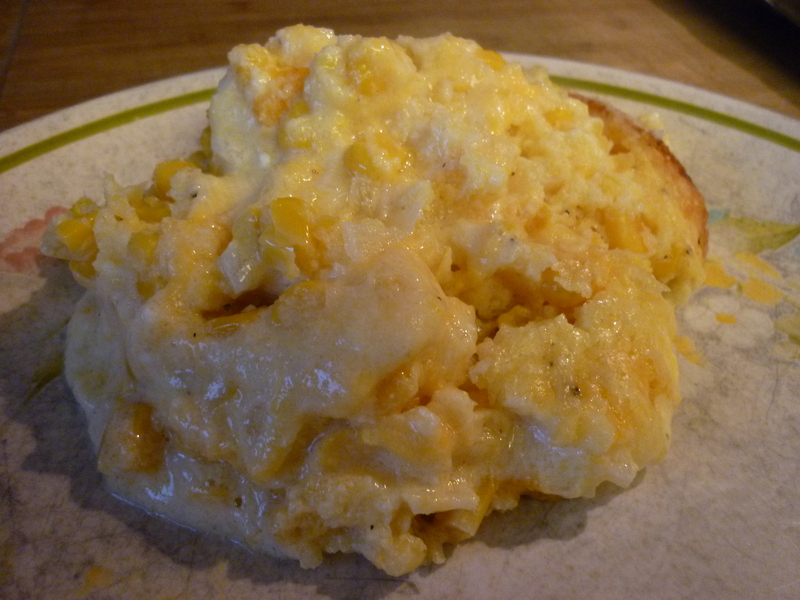 You are currently browsing the tag archive for the ‘corn pudding’ tag. This makes a great side dish to burritos or barbecue brisket. It’s based upon a recipe found at Food Network. 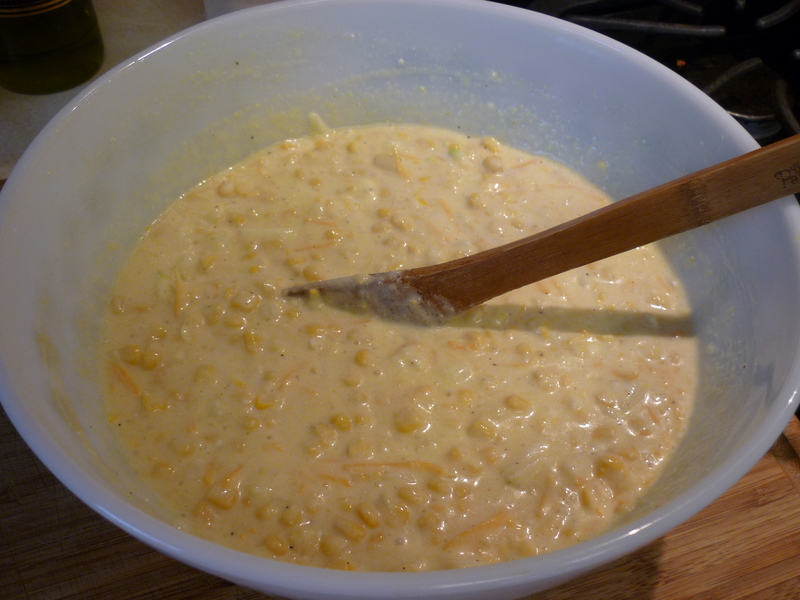 I don’t have frozen corn, never have, but I try to have canned corn on hand for occasional use. 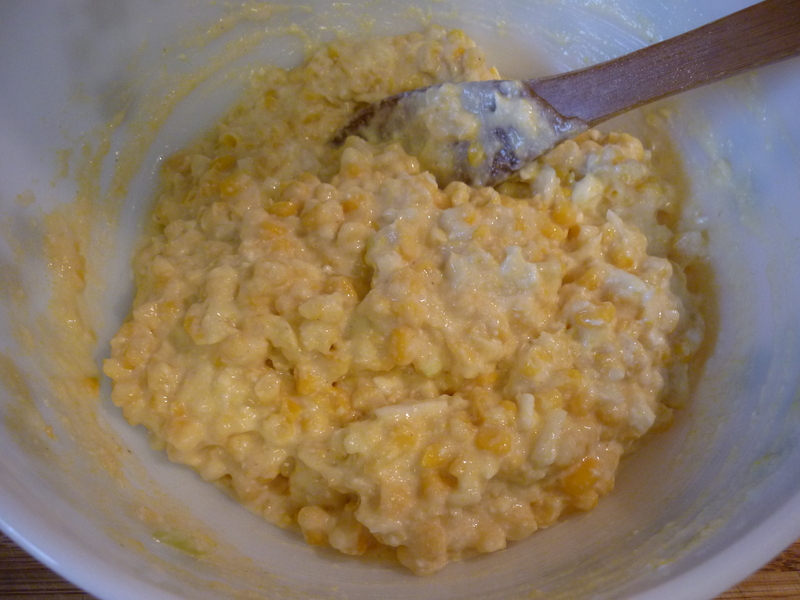 Beat 4 ounces softened cream cheese, a 15-oz. 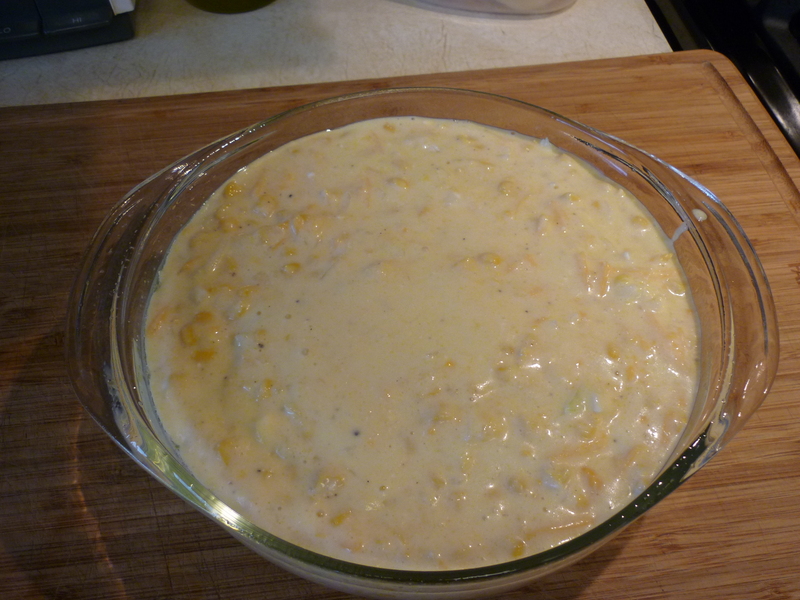 can creamed corn, a 15-oz. 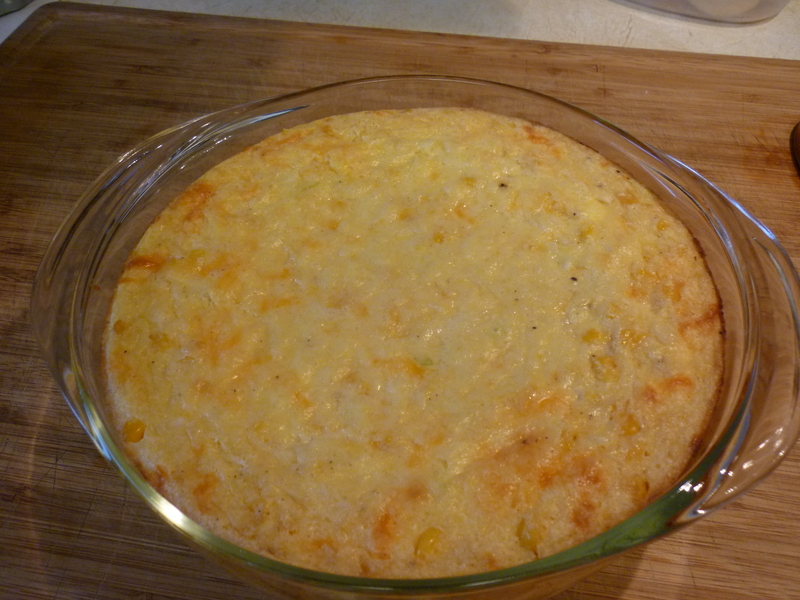 can whole corn, 1/2 cup cornmeal and 1/2 chopped onion. Stir in 2/3 cup milk, 3 Tbsp. melted butter, 1 beaten egg, 1 Tbsp. sugar, 1/2 cup shredded cheddar, and salt and pepper. 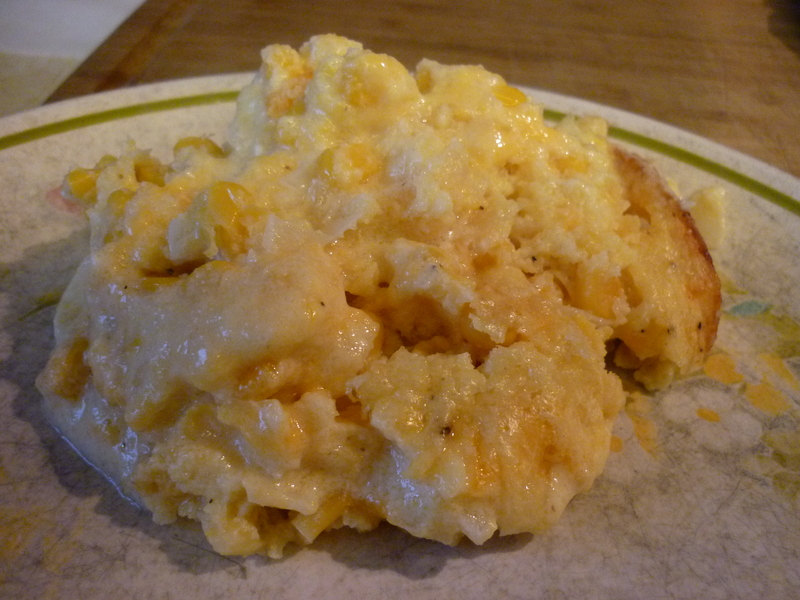 Spread in a buttered 2-quart casserole dish and bake 50 minutes at 350 degrees.